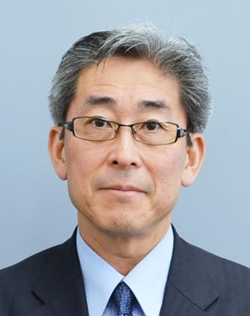 Mr. Manabu MIYAGAWA is Assistant Minister, Director General for cultural affairs of the Ministry of Foreign Affairs. CULCON has stimulated him and his team to make substantial policy recommendations for future of the US Japan relations to the political leaders. Having served three times in Europe, once in the US, Russia and Thailand through his 32 years career with the Ministry of Foreign Affairs, he spent lots of time in economic diplomacy such as WTO dispute settlement, promotion of Trans Pacific Partnership, Economic Partnership Agreement negotiations with the EU on top of close collaborations and assistance with Japanese companies in respective foreign countries. In 2016, he was assigned back to Tokyo after three consecutive foreign postings, Moscow 2009-2012, Brussels (his second time to the EU) 2012-2014, and New York 2014-2016, and then appointed to Ambassador for Asia Europe Meeting (ASEM) and prepared and participated in the 11th ASEM Summit in Mongolia as the Japanese Senior Official, while serving as the chief negotiator for the Japan EU Strategic Partnership Agreement. He is concurrently Ambassador for Sports and Budo (Japanese martial arts) in the runup to 2020 Tokyo Olympic and Paralympic.